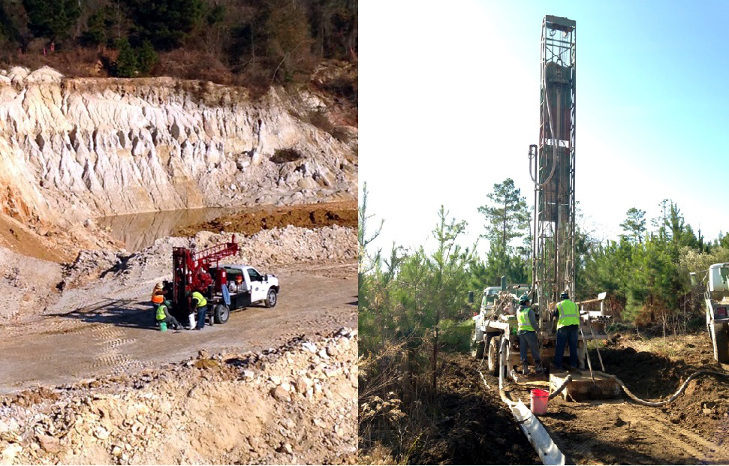 Kaolin mining starts off with testing the land for minerals. Based on local stratigraphy, geologists detect lands that may contain feasible mineable deposits. Negotiations take place with the landowner for the rights to explore and mine. Agreements generally take the form of mineral leases that pay royalties or the choice to purchase the land. 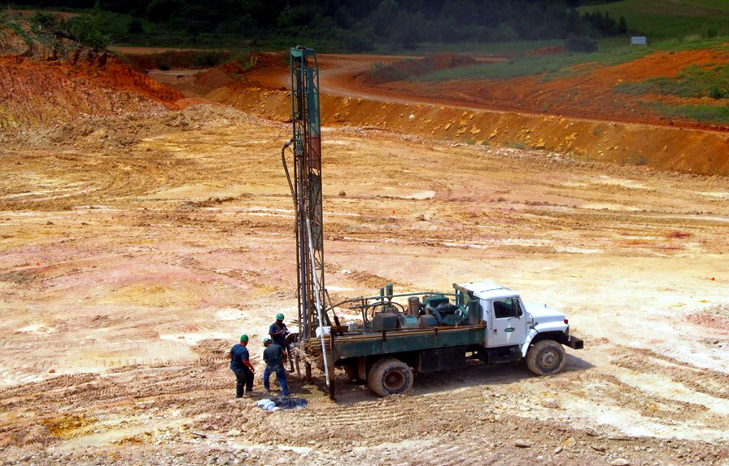 Profitable quality deposits are found by plotting, drilling, sampling and analyzing. Due to impurities and high levels of overburden, only a small percentage of the tested land contains commercial quality kaolin.